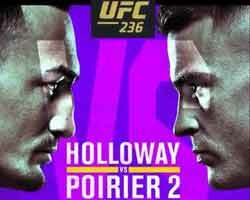 Review: 2014-01-04, very nice exchanges and combinations between Max Holloway and Will Chope: it gets three stars. Max Holloway ranked as the No.70 featherweight in the world, entered the fight with a record of 7-3-0 (29% finishing rate) while Will Chope had a record of 19-5-0 (84% finishing rate). Holloway vs Chope is on the undercard of Tarec Saffiedine vs Hyun Gyu Lim – UFC Ufn 34. Watch the video!